Here you are…a busy business owner or independent professional, trying to make sense of all the ins and outs, and rights and wrongs of the ever-changing social media and online marketing world. You might be curious about the latest social media platform that’s receiving all the buzz and how it could be helpful to your business. You might be looking for ways to improve your Facebook business page engagement or how to discover the best Instagram hashtags to use, how to use Google Plus to improve your search results or how to organize your Twitter followers better. You might be working to build a solid content plan or social media posting schedule, and want some advice on your approach. Whatever it is, you know that you either want or need to keep these tasks in-house for yourself or your team to execute, so getting some help to do a good job with your social media and online marketing is the right fit for you. 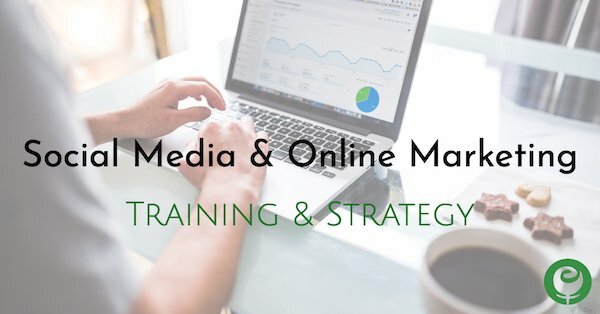 No matter if you’re in need of social media “best practices” training or simply have a list of social media strategy questions you want help answering, our social media training and strategy service is the perfect solution for you. Your time is yours to use however you’d like. We set a date, you bring your questions, and we’ll provide the guidance and answers you are looking for. 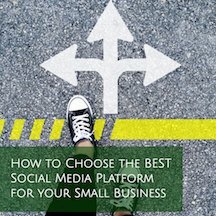 If social media in general or a specific social media platform is completely new to you and you fear you don’t know which questions to ask – don’t worry! We will lead your training step-by-step to ensure we cover all the bases. For clients who understand the basics but need to dig deeper for social media strategy and planning help, we’ll run the consulting session Q&A style so you are free to ask whatever you want about whatever platform or marketing tactic you’d like. Training & strategy sessions are purchased in either 30 or 60 minute blocks of time. Training & strategy appointments can be made for day, evening or weekend time slots. Our sessions can be done over the phone, via screen share, or in-person. Most clients begin by booking 1 hour of time. After they have a chance to implement what they learned during our session, they’ll book future follow-up training and strategy sessions on an as-needed basis. For clients who need in-depth, intensive help, we also offer multi-day, “we come to you” in-house training and strategy services where we work alongside you and your team. Day rates available. Travels costs do apply. This is one of our most popular services as our clients like to know they have a trusted resource to turn to on an “as needed’ basis. If you have questions or are ready to get started, you can email us at Info@EliRose.com, call us at 901-496-3902 or complete the short form below. Which social media platforms are you interested in having reviewed?